Cali Conscious is just that; an uplifting California surf-reggae-rock band of consciousness. And more. Formed in 2010 and naturally influenced by the sun, sand and sea, Cali Conscious blends 4-part harmonies, upbeat rhythms and environmentally conscious lyrics. The 8 piece band (guitars, bass, drums, keys, horns & percussion) prides itself on an energetic live experience that uplifts and soothes the soul. Afterall, Cali Conscious is more than just good vibes. It’s music with a cause. 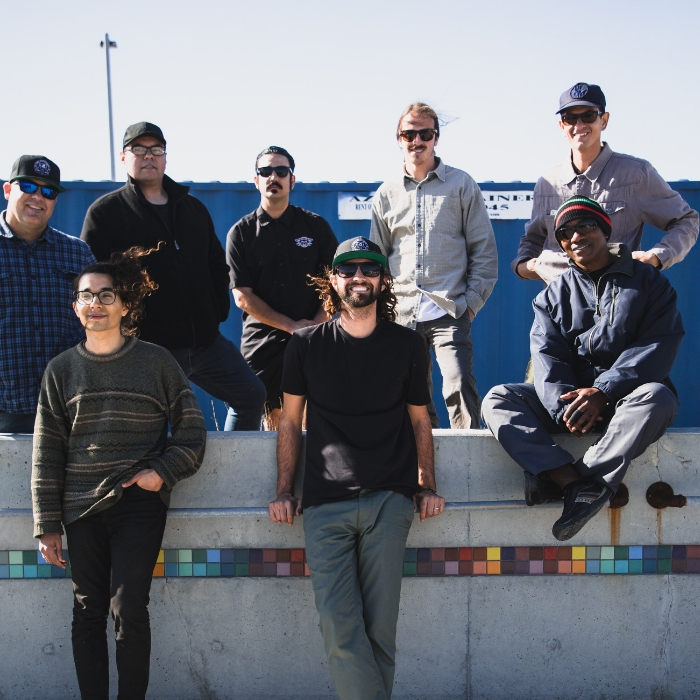 In 2017, the band donated 100% of the proceeds from their single “One Love For You” to Fully Fullwood’s non-profit Reggae For A Reason to help fight youth homelessness in Orange County. Additionally, the band organized a community beach clean-up once a month in Huntington Beach from 2012-2014, funded the construction of a $5000 clean water well in Ethiopia with a donation from live performance tips earned in 2013, and created a vegetable seeded digital download card embedded with carrot, lettuce, and tomato seeds for the release of their first album “High Times” in 2012 on their record label Organic Roots Records.